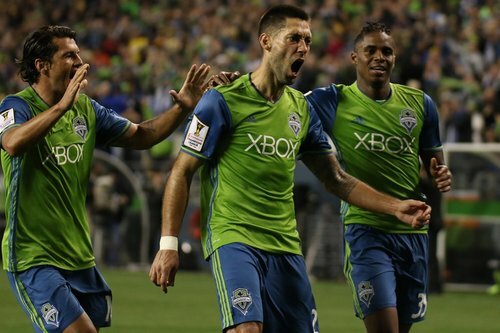 FINAL - #Sounders battle to 2-2 result with two goals from @clint_dempsey ! 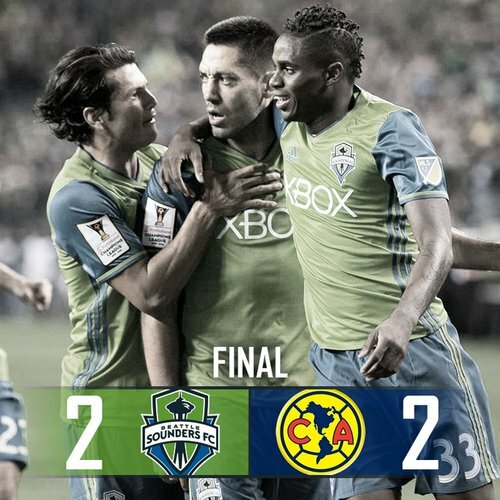 FINAL -- Club America 2, #Sounders 2. 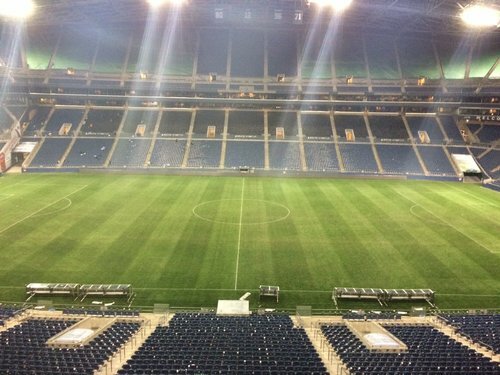 Seattle goes to Azteca next week basically needing a win. 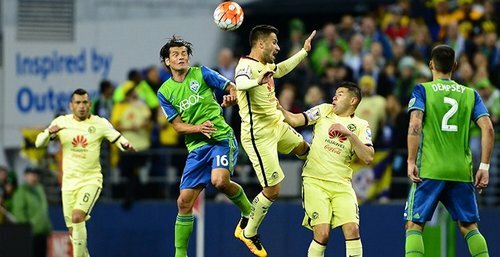 FT: @SoundersFC 2-2 Club America. 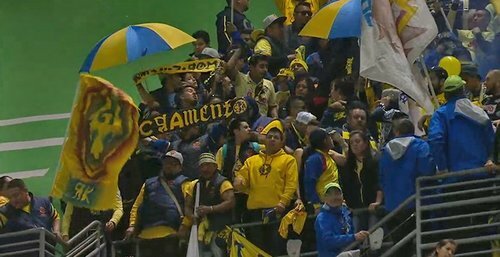 All to do at the Azteca next week, as CA snags two away goals. But everything to play for in Mexico. It's over -- a 2-2 tie. Series concludes March 2 in Mexico City. See you next week at the Azteca. It’ll be fun. @WillParchman out. I’ll have a story about Dempsey free kicking the moon tonight. Wait… is Club America going to sign Blanco? Is that a thing? 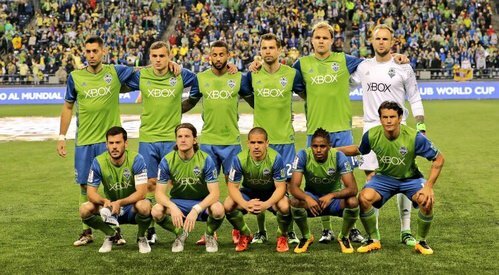 #Sounders Head Coach Sigi Schmid: "I was very proud of what our guys did." Cuauhtemoc Blanco is a vampire. Not in a figurative sense. He is an actual vampire who will live for 750 years. 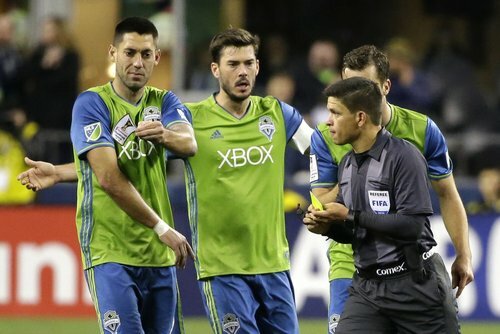 Schmid: "He (@clint_dempsey ) was obviously a target, a guy they were going after. There has to be more protection and awareness." Schmid: "I can't say enough about the effort our team put in...I thought our guys did really well." 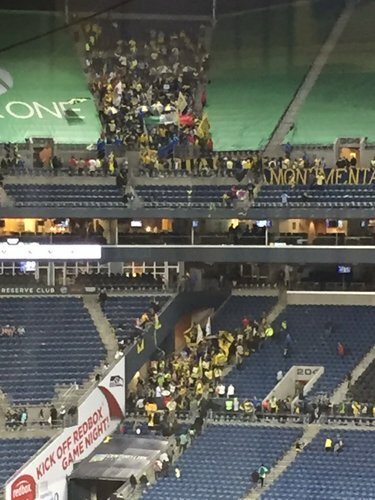 Schmid: "By the time we walked out for kickoff, I was absolutely amazed by all the people who were there." It was enjoyable hearing Ambriz talk about the difficulty in adjusting to the turf. If only they'd played this tie last year.